Marshall Electronics Optical Division - 140mm TELEPHOTO SUPER - LOW LIGHT LENS perfect for law enforcement, military, security, covert surveillance, and other applications requiring extremely low-light imaging. Near UV, Visible, Near IR 1,000nm transmittance. any application requiring extreme low-light imaging. Telephoto 140mm focal length, aperture F1.0 super low light near IR 1,000nm performance image quality used with low lux or near IR cameras. This lens / camera combination provides performance approaching military amplified light scope devices at a fraction of the cost. 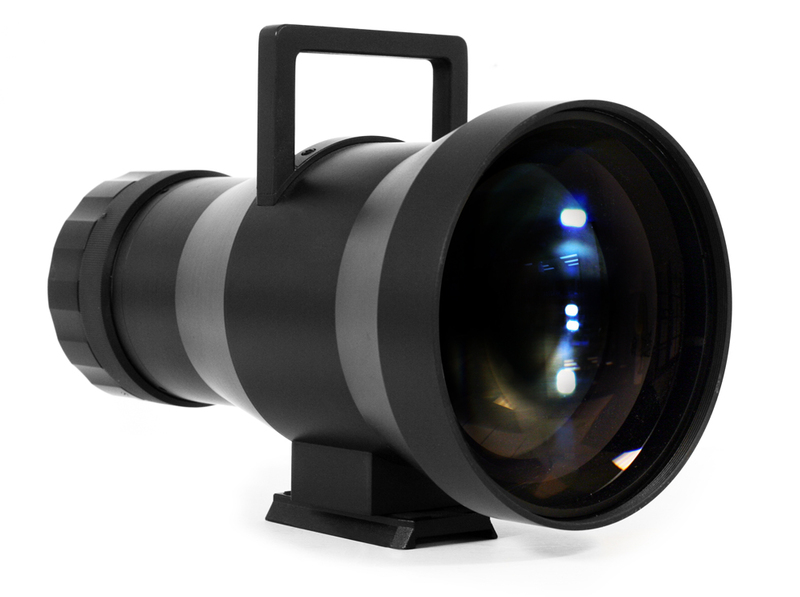 Telephoto super low light 1,000nm imaging in near zero ambient lighting conditions with low lux / near IR cameras. Greater low light optical image performance compared to military amplified light scopes. Glass optical, anodized aluminum housing, heavy duty design and build quality. low to near zero lighting conditions.